An activity to show that triangles with two congruent sides and a congruent, included angle are congruent. Use the given angle and line segments, equal to a respective side, angle and side of the given triangle, to create a second triangle. 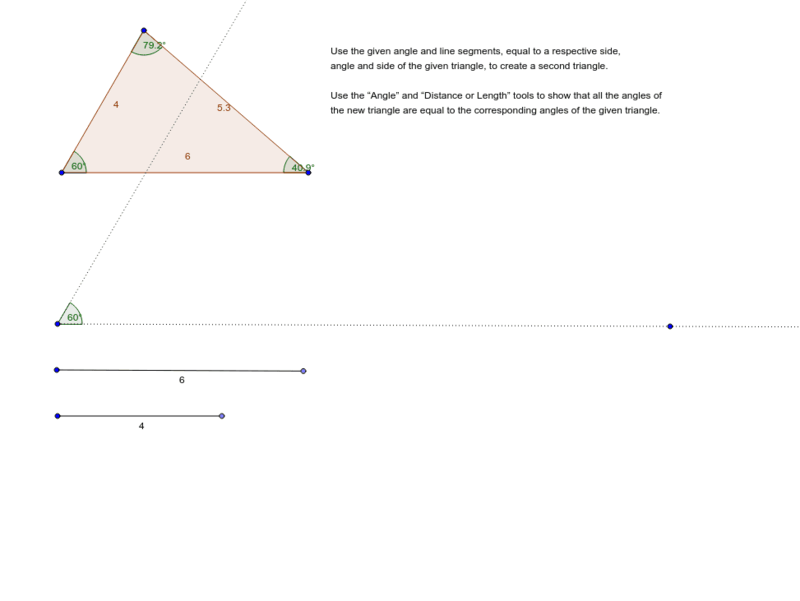 Use the “Angle” and “Distance or Length” tools to show that all the angles of the new triangle are equal to the corresponding angles of the given triangle.